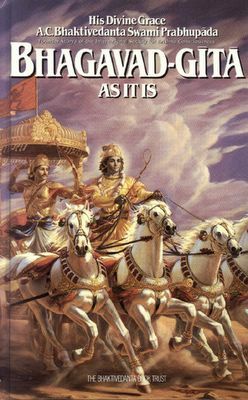 The Bhagavad Gita is universally regarded as the single most influential philosophical text shaping spiritual thought and life. Spoken by Lord Krishna to his devotee Arjuna, the Gita's seven hundred verses provide an ultimate guide to self-realization. It reveals the essential nature of man, his environment and his relationship with the Almighty, like no other work. The teaching of the Bhagavad Gita is said to free you from all sense of limitation. 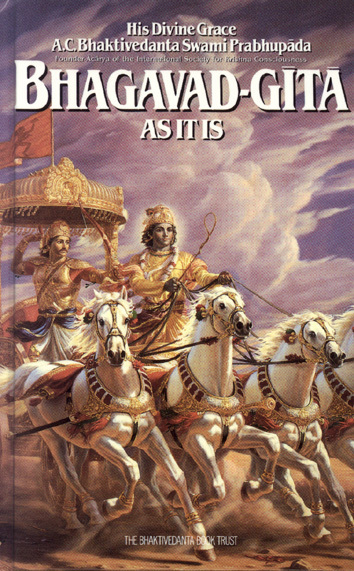 Of all editions of this immortal classic, this one by Swami Prabhupada, founder of ISKCON, conveys Lord Krishna's profound message as it is - with the original Sanskrit text, Roman transliteration, English equivalents, translation and elaborate purports. A good introduction and a glossary make it even more handy!